The following items may be purchased using PayPal or a credit/debit card. Please look for the credit/debit card option on the PayPal website when using a credit/debit card. In addition to the items listed below, Praxis offers a number of special publications that are available on the Praxis Publications page for purchase through Amazon.com. Praxis Research Institute publishes and offers an unusual kind of book, one which penetrates the barrier to inner truth. The Praxis Bookstore is a specialized supplier of Christian books intended to explain, and even to take us beyond ordinary verbal reason into what will at first seem like new ways of knowing. In fact, to Christianity, there is nothing new about this. It has been with us for many centuries, but for more than half a millennium, our Western world has lost the ability to recognize it. 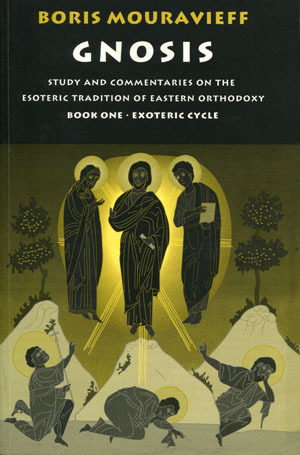 Volume I of Boris Mouravieff's 3-Volume study, in contemporary terms, of the ancient Christian spiritual tradition that illuminates the relation of the Fourth Way to the inner spiritual doctrines of the early church.